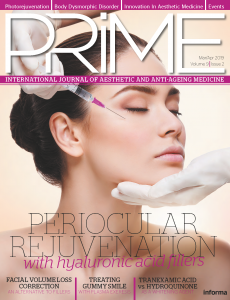 PRIME previews the 7th International Congress in Aesthetic Dermatology (ICAD 2016), taking place in Bangkok, Thailand, on 24–26 November 2016. 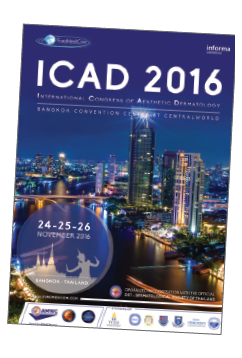 ICAD 2016 will be held at the Bangkok Convention Centre at CentralWorld, Bangkok. Plenary and parallel sessions, including workshops, have been scheduled in the main convention hall and satellite rooms. 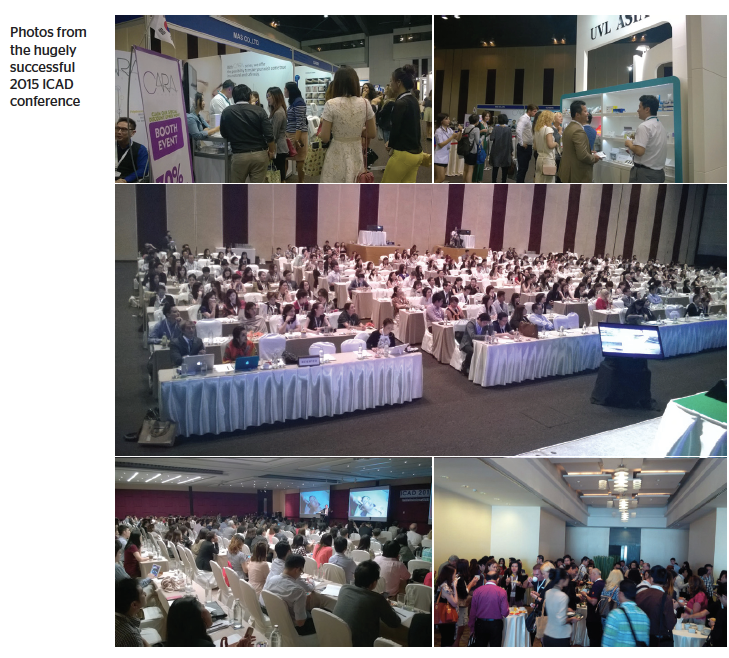 Under the joint scientific supervision of the Dermatological Society of Thailand (DST) and World Society of Interdisciplinary Aesthetic and Anti-aging Medicine (WOSIAM), ICAD returns to Bangkok for its 7th edition this November. The longest running aesthetic dermatology event in the Southeast Asia region, the organizers are pleased to present a new and improved scientific program, which is certain to impress attendees. ICAD will also cooperate closely with existing and new active Asian medical/ scientific partner associations with the ambition to disseminate knowledge and up-to-date information on aesthetic and anti-ageing dermatology for Asian and international medical doctors. Internationally-reputed speakers from around the world will put forward their scientifically-proven and practical approaches to a number of related disciplines. Scientific exchange on cutting-edge developments in the relevant fields will be promoted and encouraged among the professionals in attendance. Today, ICAD is considered a significant milestone for aesthetic and anti-ageing dermatology in the Asian medical and healthcare community. ICAD 2016 will build on the success it has achieved over the last few years with an all-new advanced pre-congress on the first day, followed by two days of scientific sessions covering diverse and comprehensive topics of aesthetic dermatology. The course will focus on holistic and combined treatments for male and female patients. The delegates will gain a comprehensive understanding of the workings of facial injections with an emphasis on the need for patient safety and the danger zones of each facial area. The congress will include live, in-depth, facial analysis of male and female patients presented by selected internationally reputed Asian and European experts in non-invasive rejuvenation, who will cover the subtleties of the surface anatomy of different ethnic groups. Cadaver videos will be simultaneously shown to facilitate better understanding of the corresponding facial anatomy. Live demonstrations of combined treatments, focused on advanced indications and techniques with injectables, will take into account the brow lift, gummy smile, chin, peri-oral zones, facial volume improvement, nose, cheek, chin, tear trough, lips, and mandibular line. Botox injections — difficult cases: evaluation and marking points. Through these four very unique and distinct sessions, attendees will learn how to improve their own procedures by watching demonstrations by experts from around the globe. Indeed, attendees will have a rare opportunity to witness live demonstrations by some of the world’s top experts, as they highlight their expertise in a wide range of facial rejuvenation procedures. Additionally, a dozen other sessions will cover non-invasive rejuvenation strategies for a variety of essential topics, including: skin rejuvenation, tattoo removal, pigmented and vascular lesions, body shaping and/or skin tightening, energy-based treatment for hair removal, injection with neurotoxins, and dermal filler treatments. This or that? Which treatment do I use for specific indications? Through two days and two different simultaneous tracks, a variety of high-level scientific content is guaranteed to have something for all attendees, who will be able to leave the congress having achieved a new level of knowledge. In addition to, and alongside, the congress, an international exhibition will take place. Featuring over 80 companies from around the world, in over 2500 sqm of exhibition space, attendees will be invited to browse the latest products, devices, and services offered by industry leaders. Attendees will have the opportunity to attend numerous workshops with promotional and educational information regarding new products, devices, and technique innovations. The coffee and lunch breaks during the exhibition also present a great opportunity to network with colleagues and industry partners from around the world. With an international exhibition complementing a world-class conference, ICAD 2016 will be a memorable experience for all participants. Avail yourself of Thailand’s beauty! 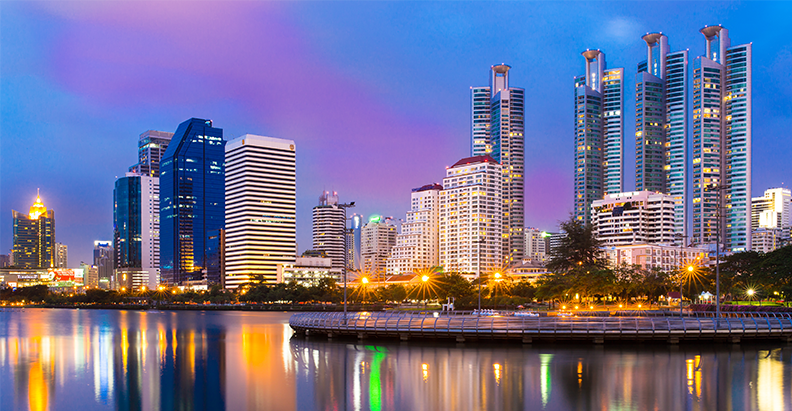 As well as the congress venue, the city of Bangkok and Thailand are world-renowned for their gracious hospitality. The friendliness of its people and the diverse nature of Thai culture make visitors feel at home. The end of the year is the perfect time to indulge in a vacation or a break to the warm weather (especially Thailand’s beaches and islands). Participants can plan their trip to experience Thailand’s natural beauties before or even after the congress.